WhatsApp web-client was released last month after temporarily banning the WhatsApp Plus users , It was all happened suddenly and this web-based chat from WhatsApp was only compatible with Google owned Chrome browser. 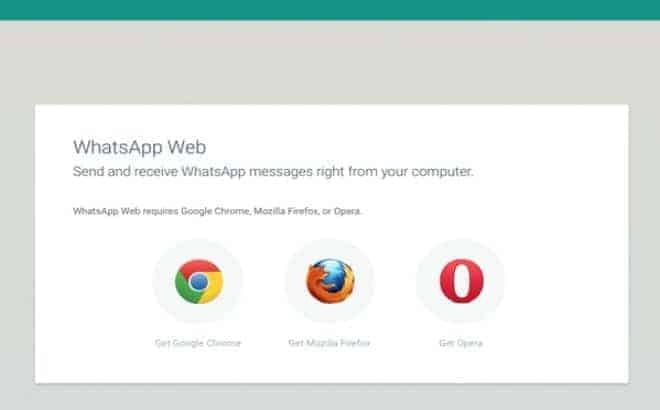 Only Android users got the latest update of WhatsApp which enabled a new option called WhatsApp web with which they can scan the QR code present in web.whatsapp.com and start chatting using the Chrome browser. Everything’s fine but what about other browser and other mobile OS users ? One another thing worth mentioning here is the mobile OS compatibility. In addition to Android OS smartphones, others like Blackberry,WIndows Phone, Nokia S40 series phone are also compatible to use the web-based WhatsApp on their preferred browsers. For Apple users, they still have to wait to get this, at present there’s no information on when we can see WhatsApp web enabled in an iOS device. So it’s a no-go for Apple users now.